From chic corporate events, conventions, fundraisers, business launches and gala dinners, we execute corporate catering with precision, ease and style. If you need to plan a dynamic and distinctive catered corporate event, Huntington Catering provides corporate catering that strikes the perfect balance between business and pleasure. Huntington Catering has earned a well-deserved reputation for mastering the fine details of warm, precise service and world-class cuisine. We provide a full range of catering services for corporate and business events. Is yours the sort of company that endeavors to show employees appreciation for a job well done? Perhaps you are looking to celebrate a company milestone with taste and style? Are you are hoping to impress some VIP clients? 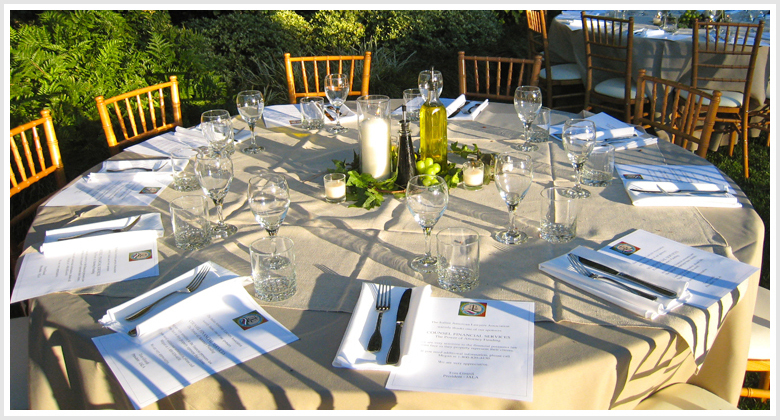 We will work with you to customize a menu to perfectly fit the occasion, theme, tastes, and budget of your event. Huntington Catering is staffed by exceptional, attentive individuals who are passionate about hospitality and who possess a deep commitment to providing service of unequalled excellence to your corporate event. By providing fine cuisine and expert coordination paired with careful attention, we meet your needs and exceed your expectations. When it comes to fine corporate catering, Huntington Catering means business.